The Cavaliers. West Side Market. The Grog Shop. Little Italy. All places and things make you think of Cleveland, Ohio. Over the last two years, the area has been trying to rebrand and attempt to attract new business and tourists. The “Destination Cleveland” organization has an ambitious goal for 2020: 20 million annual visitors. Cleveland’s rebirth has been happening for years, unbeknownst to the public eye. The city has earned six James Beard awards for restaurants, a thriving bar, music, arts scene and startup companies. A lot of the success is coming from the millennials (hurrah), as they are coming to the area and causing some reactivity. The city has taken its gamble on professional sports to help revitalize the city; Cleveland lucked out in its success. This past summer, the Cavaliers won the world championship. A few months later, the Cleveland Indians advanced to the World Series. Thus, people have flocked to the city. It is considered “on the rebound” by many. The list of residential amenities is expanding. For instance, social connectivity, proximity to nightlife and walkability are some of the desired qualities of the area. Among those reasons are the different attractions that bring a large range of people. Coventry is among one of the unique tourist destinations. 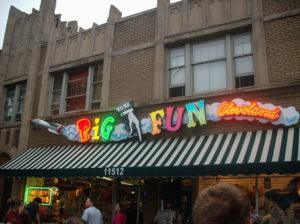 Located in Cleveland Heights, it is equipped with eclectic shops and unique eateries for any generation. It’s a place of immense diversity and hippie vibes. There are all kinds of cuisines, ranging from vegetarian eats to Indian and Asian foods. Shops that include imported goods and “retro” finds welcome newcomers. The nightlife also attracts many, including concert venues The Grog Shop and City and East Hookah and Spirits. 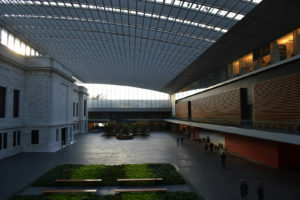 If you’re looking for a little more culture, visit the Cleveland Museum of Art on the east side. The museum contains a range of 30,000 works of art spanning over 5,000 years from places around the world. The structure underwent renovation beginning in 2005 and was not completed until 2013. Costing $350 million in total, it was the largest cultural project in Ohio’s history. Not to mention, the museum is free to the public. The exhibits are rotated over periods of time, so no visit will be exactly like the last. Another interesting place to visit is the indoor/outdoor West Side Market located in Ohio City. It has undergone many improvements and additions since its start-up in the early 1900’s. The market is home to over one hundred independently owned businesses. It contains a plethora of vendors selling meats, cheeses, poultry, baked goods, flowers and spices among others. Plus, there is a separate building entirely for the freshest produce of the season. Whether it be a daytime destination or a weekly shopping place, West Side Market has an interesting take on everyday groceries. 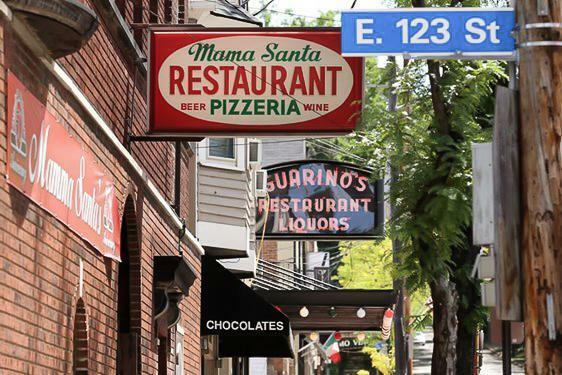 Finally, Little Italy is another hidden gem in Cleveland. The area came about in the mid-1800’s by Joseph Carrabelli, an Italian sculptor, when he began his work on Mayfield Road. The area then became an homage to other Italian families who came to Cleveland to find work. Thus, Little Italy was born. The traditions are still held strong today with the cultural heritage and artistry that was brought to the area decades ago. Little Italy is known for its art galleries and delicious Italian cuisine. This little tourist spot hosts many events such as Art Walks, Taste of Little Italy, Affesco Summer Nights and much more. Just like anywhere, Cleveland still has some improvements to make. The city can fall victim to unemployment, economic distress and outdated infrastructure, but considering the last two years, the city is most certainly on its way. Visiting new places is important for personal development. It is a way to gain new information and be exposed to new cultures. Even if it is only an hour or two from your neighborhood, your home state still has so much to offer. Hi! My name is Amber and I am a Fashion Merchandising/Photojournalism student at KSU. I am a member of the Modista fashion club, a blogger for A Magazine, and a sister of the Alpha Xi Delta-Beta Tau chapter. I love to read, paint, take pictures, and do anything outdoors. I enjoy watching Netflix and playing with makeup. My favorite color is black and I’m a pop-punk music lover. Feel free to follow me on my other social media platforms. Muah!